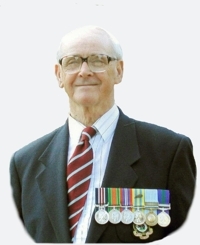 The Association has been advised that Tom Nowell died on Friday 24th February, 2017, aged 94. Tom was awarded the Military Medal for his actions as a sniper sergeant during the Korean War. Tom’s funeral service was held on the 15th of March, in the Pentecostal Church, Market Street, Goldthorpe, Nr Rotherham, S63 9HA, starting at 10.30am. Following the service in the church, there was a cremation service at Ardsley Crematorium, Doncaster Road, Barnsley, S71 5EH, starting at 12.10pm. Everyone was welcome to attend both services, and the family arranged for a coach to take people (who wished to attend) from the church to the crematorium and then back to the church for refreshments. Tom’s family requested ‘family flowers’ only, but should you wish, donations in lieu could be made to the Regimental Association of The Duke of Wellington’s Regiment. You can read about Tom’s service in Korea in his interview in the Soldiers Service Memories page.